Every year we host an international workshop at Pilates B. Thereby we contribute to the Pilates community of educated professionals and entusiast. We love the energi we get from welcoming teachers from Denmark, Scandinavia and from around the world into our studio in Lyngby, Denmark – just north of Copenhagen. To give you the best experience, we always put a lot of effort and commitment into finding the best presenters for you! We support and value experienced presenters whom got a positive attitude and an open mind. We get better and better in finding the best so you can feel good and relaxed when you participate in a workshop at Pilates B. Normally, we got a really special and nice atmosphere at these workshops – and you are a big part of making this one a good one. We hope that you feel the same way and would like to join us this May 23rd to May 26th 2019 in Denmark together with Karen Frischmann and Pilates B.
Karen Frischmann is one of the most experienced teachers and presenters in the world of Pilates. 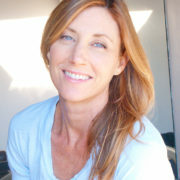 Furthermore, she co-started Vintage Pilates with Sandy Shimoda and Jay Grimes. They created the Work together – which is the legendary master program in Pilates. 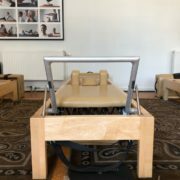 Due to this work and experience, Karen had a vision to developed the perfect springs for the Reformer. All these years of working on the project became the brand new Contrology springs from Balanced Body. Which is the hart of the super classical Reformer – Contrology by Balanced Body. Finally Karen offers online workshops, she runs a home studio and she does business coaching in LA and one-to-one programs. 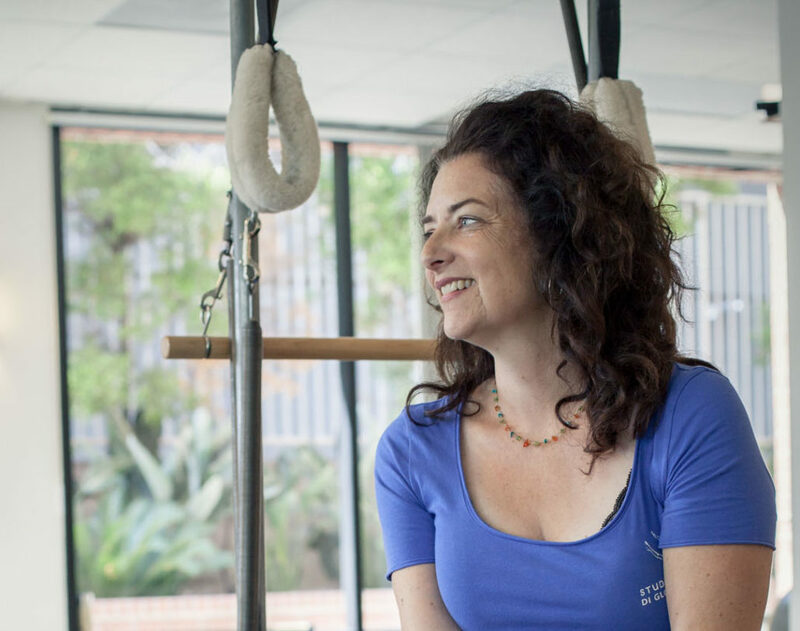 Karen is an insightful, intuitive teacher and business coach with more than 20 years of experience teaching Pilates and developing and running studios. There is one Pilates method and Karen master it to the fullest. To read more about this workshop, see the full program, prices, see the details or to book – please look HERE! 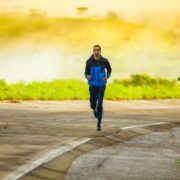 Hvordan bygges en time med Pilates på Reformer op? Hvorfor gør vi, som vi gør hos Pilates B? Løb med Pilates B - og så er det helt GRATIS! Lav dit eget personlige gavekort til Pilates B ONLINE idag!